Bilateral relations between any two contiguous countries that are asymmetric and share a wide spectrum of commonalities, ranging from religion to culture as well as from traditions to history, could sometimes be dicey. It is definitely so in the case of India and Nepal, which have a big and powerful China, as a common neighbour for comfort. An economically dominant and politically over-ambitious and hegemonic China tends to lean none-too-gently on its geographically smaller neighbours and casts its hulking shadow on their bilateral relations at the best of times. 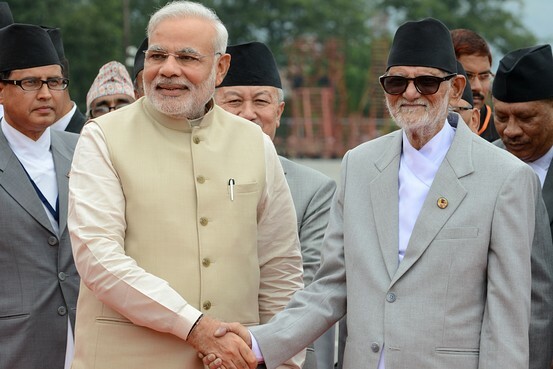 India’s relations with Nepal are currently passing through a disturbingly low phase. 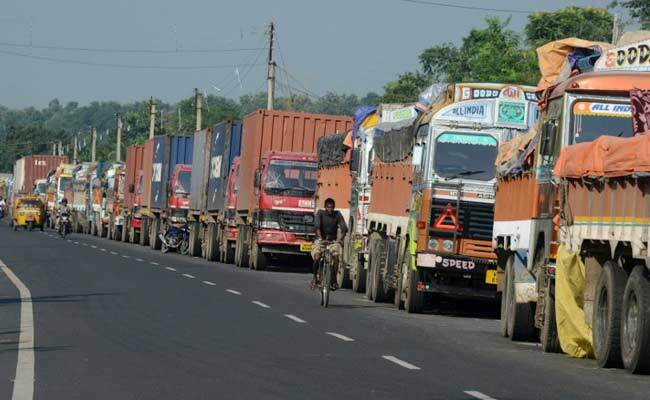 Since September 23, there has been an economic blockade of essential commodities from India, with protests being held at the border on the Nepalese side hindering smooth transit of lifeline supplies. This has resulted in an economically vulnerable Nepal compelled to look the Chinese way for vital supplies. Not a propitious state of affairs for the healthy growth of India-Nepal relations, with India’s archrival looking at the fluid situation askance. In the ensuing scenario, nobody has been any wiser nor has been the beneficiary of the imbroglio. Indian National Congress and other parties like JD (U) and CPI (M), which share space with it in the Parliament, have characteristically been unsparing in their castigating of Prime Minister Narendra Modi and his foreign policy team for the current impasse on the Nepalese front. After the change of guard at the Centre in 2014, relations between India and its northern neighbour got a new fillip with the visit of Prime Minister Narendra Modi to Kathmandu last year – the first by an Indian Prime Minister in nearly 17 years. The high point of the visit was the emotional appeal made by Modi when he said, “This is the land of Sita and Janak. Nepal-India relations are as old as the Himalayas and the Ganga.” He then asserted that ever since he became Prime Minister, one of the top priorities of his government has been to strengthen the relationship with Nepal. The warm sentiment was translated into substantive terms with India’s grant of a US$1 billion concessional Line of Credit to Nepal. This was followed up by the signing of a deal between the two sides in terms of which India would build a 900MW hydropower plant at a cost of another US$1 billion. Earlier this year, India provided an assistance of US$1 billion for the reconstruction of the quake-hit Nepal, backed by a solemn assurance by Narendra Modi that India would try to wipe out the tears of all the people of Nepal in distress. Despite such a flying start that went into further cementing of the relations between the two nations, what was the dampener that spoilt the show for the two? It was the internal political developments in Nepal, which can be summed up in one word – Constitution. The turbulence in relations started with the adoption of a new Constitution by Nepal on September 20, 2015, by replacing the Interim Constitution of 2007. The new Constitution turned out to be anything but inclusive as it failed to address the concerns of the marginalized sections of the Nepalese society such as the Madhesis, Janjatis, Tharus, women and Dalits, thereby polarizing the society along regional and ethnic lines and causing disaffection among the affected sections. The Madhesis of the Terai region, who had already been agitating, seeking redressal of their long-standing grievances, intensified their agitation in protest against their interests being given a short shrift in the new Constitution that was in the making for the last nine years. They imposed a blockade of lifeline supplies from India at the Raxaul-Birgunj check post, which is used for the transit of 70% of Indian supplies. Since Nepal heavily relies on Indian supplies of fuel (nearly 100%), the blockade has caused immense hardships to the people of Nepal and disruption of the country’s economy. The demand of the Madhesis is threefold. Firstly, they have been asking for more constituencies for the Terai region that accounts for 51% of the country’s population. As per the new Constitution, the Terai region would likely get only 62 out of the total 165 seats under the first-past-the-post system instead of 83 as per its population. Evidently, the new Constitution has not taken into account the factors of population and geography and does not give weightage to proportional representation in the sparsely-populated trans-Himalayas districts to ensure that they are not left out of the democratic process. Secondly, the protesters have been demanding proper demarcation of provinces. A third demand is a more liberal citizenship policy, which would not discriminate between the offspring of Nepali men with a foreign spouse (mostly Indian women) who are considered Nepali citizens by ‘descent’, on the one hand; and the offspring of Nepali women with a foreign spouse (mostly Indian men) who are considered ‘naturalized’ Nepali citizens on the other. Groups of human rights activists and ethnic women of the immigrant Madhesi community have dubbed the new Constitution as gender-discriminatory. The protesters are unrelenting on the resolution of these three demands. India’s relationship with Nepal has been special. Both the countries have open borders for the citizens of each other for visa-free travel. Nepali citizens are allowed to appear for top-level competitive examinations to the Indian Civil Service, Police Service, etc. The Gorkha Regiment is a niche space in the Indian Army for the Gorkhas of Nepal. The number of Nepalis living and working in India is estimated to be around six million. There are many families in the two countries tied by marriage. Nepal, a landlocked nation, is surrounded by Indian land mass on three sides. The bulk of its trade is with India. With such unique attributes marking the special relationship between the two countries, India could not help being concerned about crucial political developments in its neighbouring country. Following the handing over of power by King Gyanendra in 2006 in the wake of a mass movement for democracy, an interim Constitution was promulgated in 2007. A Constituent Assembly was mandated with the task of drafting a comprehensive Constitution. As the Constituent Assembly failed to come up with a draft Constitution within the mandated period, a second Assembly was constituted. The Constitution of 2015 was drafted by the Second Constituent Assembly and promulgated by the Parliament. Although 84% of the lawmakers, including a large number from the Terai region predominantly inhabited by the Madhesis, voted for the passing of the new Constitution, sections of the country’s population have been unhappy about the new Constitution being framed without the participation of the people at large. As such, they consider the document an exclusive product of political parties and, therefore, not truly reflective of the people’s will and aspirations. Consequently, there has been a lot of confusion and disaffection over the introduction of the salient features of Federalism and Secularism in the new Constitution. In the Nepal government’s attempts to quell the protests and the attendant violence, over 50 Madhesis have been killed and several injured. 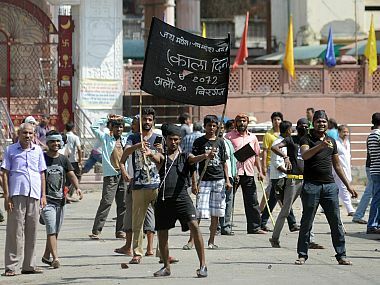 The Nepali media and the establishment have been critical of India’s alleged role in the instigation and the spreading of violence. Although their attempt to placate the restless Nepali population by blaming the violence and “unofficial blockade” on India is understandable, nothing could be farther from the truth. Expressing India’s concern over the ongoing protests and strife in many parts of Nepal, she called for flexibility on the part of all concerned political forces in a bid to address all the unresolved issues through dialogue and widest possible agreement, in an atmosphere free from violence. A last-minute visit to Kathmandu by Foreign Secretary Jaishankar to explore the possibility of salvaging the situation before matters got out of hand proved futile. The much-awaited Constitution turned out to be a damp squib – a letdown for the marginalized communities of Nepal and a disappointment for India, which merely “noted” the Constitution but stopped short of welcoming it. Following the outbreak of protests and blockade of Indian supplies by the Madhesis, the arterial supply lines of Nepal were choked causing all around hardship, inconvenience and logistical problems on both sides of the India-Nepal border. Prices of fuel and other essential commodities shot up in Nepal much to the bewilderment of the people of that country, with the lifeline supplies from a friendly India piling up at the border on account of the impasse. The Indian government conveyed its helplessness in transporting the much-needed supplies across the border pending resolution of the impasse by the Nepal government through dialogues with the protesters. India’s stance of non-interference in the domestic affairs of the friendly neighbouring country was made amply clear. In such circumstances, it would be foolish on the part of the anti-India elements in the political and establishment circles as well as the media in Nepal, to hold India responsible for the “unofficial blockade” and attendant violence. Such an exercise will be nothing short of a deliberate attempt to malign India’s image and besmirch its honourable intentions to put the India-Nepal relations back on an even keel. Even as the situation in Nepal was getting murkier by the day, with the protesters further intensifying their agitation and the Nepal government digging its heel in, there was a sudden letup, giving forth a glimmer of hope for the return of normalcy. In an unexpected positive development, the Nepal government agreed to amend its new Constitution to address two key demands of the protesters regarding proportionate representation and constituency delineation. This was conveyed to External Affairs Minister Sushma Swaraj by Nepal’s Deputy Prime Minister and Foreign Minister Kamal Thapa on the telephone on December 21. As such, the Nepal government has agreed to amend the Constitution to provide for participation in state organs by proportionate inclusiveness and delineation of electoral constituencies on the basis of population. It has also decided to address the demarcation of provinces through an arrangement in the Constitution based on political consensus. Other demands, including that of citizenship, are to be resolved through negotiations and agreement. India has welcomed Nepal’s decision and has also urged all political forces in Nepal to demonstrate “maturity and flexibility” to find a mutually acceptable solution to the ongoing crisis. India has also indicated that it wants to see an end to the Madhesi agitation and expressed confidence that a return to normalcy in Nepal will create a more secure and conducive ambience for unhindered commerce between the two countries. Although the leaders of the United Democratic Madhesi Front have expressed doubts about the commitment of the Nepal government to follow up its assurances with concrete action within a reasonable timeframe, the government of India has reasons to believe that the 12-week old stalemate will soon become a thing of the past. Be that as it may, the Nepal government’s decision to bow to vox populi is as welcome a development as it could get, to put its bilateral relations with India back on the track – not a day too soon. However, it is unlikely to go down well with the Opposition parties in India, which have been using a purely domestic issue of a neighbouring country for political grandstanding against Prime Minister Modi. The charges of our Opposition parties that India acted clumsily by doing too little too late in the course of the drafting of Nepal’s new Constitution and that India has been acting in a big brotherly fashion by using strong arm tactics, instead of displaying magnanimity, with its smaller neighbour, have been exposed as being hollow and baseless. Incidentally, the course of action pursued by India in the matter, marked by abiding patience and implacable correctitude, has vindicated its position as a benign soft power neighbour of a fledgling democracy. In fact, it has proved to be a battle of wits in which both the nations have emerged victors – which is yet another diplomatic coup by Prime Minister Narendra Modi! In the meantime, Nepal Prime Minister KP Sharma Oli telephoned Narendra Modi on December 31 and apprised him of the latest measures his government has initiated to resolve the predicament triggered by the Madhesi agitators. KP Oli assured the Indian Prime Minister that his government has introduced a new bill in the Nepalese parliament on December 15 with the aim of amending Nepal’s new Constitution, which will address the two demands of the Madhesi people related to proportional representation and redrawing of the electoral constituencies based on population. Conveying his strong support to the said consensus-based solution that is seen emerging to the current crisis in Nepal, Narendra Modi invited Prime Minister Oli to visit India soon, and the latter responded positively, saying he would do so after the situation in his home country eases. Meanwhile, the impending amendment of the new Constitution after the proposed bill gets passed, is expected to diffuse the ongoing crisis between Kathmandu and the Madhesi agitators. Modis foreign policy has totally failed. He met Nepal PM, gave them USD 1 billion but they still do not acknowledge Indias efforts. Even with Pakistan Modi has failed to make a fair deal. See what they have done in Pathankot. Mr Balaji Subramaniam: Narendra Modi has done his best. But Nepal and Pakistan does not deserve any goodwill from India or NaMo. So they are behaving like this. It does not imply that NaMo’s foreign policy has failed. It only depicts the failure of the Nepal govt and Pakistan govt to capitalize on God-sent opportunities to improve the future of their respective countries and the well-being of their citizens. More than NaMo or India, these countries (Pak and Nepal) would be the losers. NaMo has no personal loss if his efforts does not yield the desired results. It is the citizens of Pak and Nepal who will be the ultimate losers. I agree with Mr.Suresh. Nepal will relent for their mistake. It was India, who gave employment to lakhs of Nepalis for the past 40 years. After brutal killing of King and still after Communist, backed by China, created trouble to Koirala Ministry, all were changed. Where Modi came during those time. Nepal will know China and Pak in a year or two. At that time Mr.Balaji Subramaniam will say Modi did nothing and Nepal came on their own. This blockade mess was created by foreign and Nepal media. Also Indian opposition parties saw this as opportunity to defame Modis foreign policy. India was never at fault even Nepalese know this. Nepal and Indian people are like brothers. Indian institutes and corporates allow equal opportunity to nepalese as they do for Indians. And it is known to all that China promotes hatred between Nepal and India. In my view, India should unequivocally oppose the parts of Nepalese constitution that are against the Madheshis. In India we care so much for minorities then why not for the minorities of other country which receives so much aid from us. People should know that blockade was once imposed on Nepal by Rajiv Gandhi government. At that time no one had the daring to talk against congress, now they are finding fault in Sushma Swaraj and Modi cabinet. This is very comprehensive and balanced view presented by you. Thank you for bringing the readers up to speed on this issue. India had pledged 1 billion dollor for the reconstruction of Nepal after the country faced that devastating earthquake. Narendra Modi knows that unless close neighbours are with India, we cannot stay friends with countries like US, UK and Russia. Indian farmers are committing suicide every now and then and PM Modi is busy giving easy loans and grants to foreign governments. How rude is this for Indians who voted BJP to power with full support. If people and politicians of Nepal allege that the oil and commodities blockade was because of Indian influence then they should know that Nepalis are free to roam and work in India. We are like their elder brother but a caring brother. It is like how China controls its small neighbours India should also dominate Nepal and what is wrong in that. If we are enforcing any illegal rules then people must complaint. Nepal is nothing if India doesn’t support them on international platforms. In India, the constituent assembly that framed the constitution was united but in Nepal many members voted against their proposed constitution and some members abstained from voting. This is then clear that there was something wrong with the constitution. Hello there. I could have sworn I have been to your blog before but after browsing through a few of the posts I realized it is new to me. Regardless, I am certainly happy I stumbled upon it and I will be book-marking it and checking back regularly. Nepal, a landlocked nation, is surrounded by Indian land mass on three sides. The bulk of its trade is with India. With such unique attributes marking the special relationship between the two countries, India could not help being concerned about crucial political developments in its neighbouring country.